When a mother is caring for her young children, there will be years, and sometimes many years, when her house and family are her central mitzvah. This is why the Chafetz Chaim told his wife when their children were small that she was exempt from prayer. When her children are small, a mother’s main connection with Hashem will not be through prayer and Torah learning. She will connect to Hashem and serve His will through her connection with the physical preparations for the holiday and caring for her home and children. Women, unlike men, are blessed with an innate ability to find spirituality within the physical, allowing them to reach a higher level spiritually even than the angels. The Jewish mother will connect with Hashem through her connection with life, and feel great joy knowing that she is doing exactly what Hashem most wants from her at that moment. I always appreciate when you remind us of our unique way to do avodat Hashem. 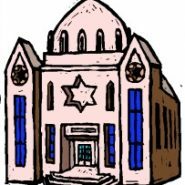 Nevertheless, I will take this opportunity to mention that many communities have vatikin minyanim on RH and YK, and some even have a later maariv minyan on YK night.In my community these minyanim are very popular, and enable women to go to shul for part of the tefilla. I need this so much. Please keep it coming. I’d like these as ‘post-ables’ that I can tack onto my fridge! The constant reminder is helpful. Sorry, sometimes my “innate ability to find spirituality within the physical” dissapears (goes to shul?) leaving me alone with the kids and housework..
right, I can relate. It’s something that might be innate, according to this rabbanit, but I for one have had to work very hard to feel that spiritual within the physical.I personally listen a lot of shiurim which remind me of the importance of the home-based part of my tafkid. But I also think that it’s really important to be authentic, and to figure out how much regular spiritual time you personally need for davening and learning to connect with Rosh Hashana and make it uplifting for you. Chana Jenny, thanks to you, I joined Rabbi Nivin’s chabura this Elul. Through his chabura, I finally understood what it means to be doing my tafkid of the moment. This is so so true for Rosh Hashana, when we often feel that we’re missing out. Thank you so much for reminding me that it’s up to me to feel real joy knowing that I am doing exactly what Hashem wants from me in this moment. I once asked Rebbetzin heller how to find the spiritual in the mundane and she told me simply to thank Hashem in those moments:” thank you for the working washing machine and the money to buy food, for the family to cook for and love, for a husband to share this with, for the health of the children whose dirty clothes I’m constantly washing….” Etx…. Simple thanks connects us in the simplest and most direct way…. YL, What you have written is beautiful and true.